The Star8-2 class canal boats. 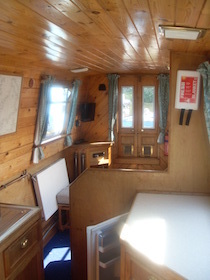 Oil fired central heating, Pressurised Hot and Cold water to Galley, Showers, Basins & Toilets . Pet free Boat. 2 Bathrooms with basin, shower and flush toilet. 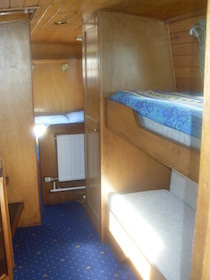 Pressurised Hot and Cold water to Galley, Showers, Basins & Toilets, electric pump out shower. 240V x 2 Pin shaver point (for shaver only). Electric macerator toilets.